Home/Inside Pain Blog/Should You Visit A Chiropractor For Hip Pain? Approximately 100 million people in the U.S. suffer from chronic pain. Nearly 53% of the workforce in the U.S. reported having pain in the past two weeks, with 13% of those reporting leaving work or losing productivity due to pain. One of the most common causes of pain is hip pain. Along with the many causes of hip pain come many treatment options. Visiting a chiropractor for hip pain is one of them. It can be very effective for some patients, and has few side effects. Hip pain is one of the most common types of joint pain. It occurs most frequently at opposite ends of the age spectrum, in children under 15 and adults over 45. Dealing with daily hip pain can be debilitating, impacting everything from work to family life to recreation. The hip joint supports the entire upper body and is responsible for not only stability but also strength and locomotion. The burden placed on the hip joint can be the root of many different causes of hip pain. The hip joint is a straightforward, hard-working ball-and-socket joint. The “hip joint” primarily refers to where the rounded edge of upper thighbone (the femur) connects with the acetabulum. The head of the femur bone is rounded, nestled into the acetabulum, and surrounded by a fluid-filled sac called a bursa. Connective tissue cushions this joint and synovial fluid hydrates it. Ligaments and muscles attach the hip joint to the bones of the pelvis, including the sacrum. Any number of dysfunctions in the joint itself or the surrounding pelvic bones, muscles, and ligaments can cause hip pain. The most common causes of hip pain in adults include the following. This wear-and-tear form of arthritis mainly affects adults over 50. Over time, the cartilage that cushions the femoral head can wear away due to use. The bone-on-bone rubbing causes inflammation and pain that worsens over time. Hip bursitis causes hip pain when the bursa surrounding the femoral head becomes irritated and inflamed. The two major types of hip bursitis are trochanteric bursitis and iliopsoas bursitis. Trochanteric bursitis is degenerative and more common in older adults, while iliopsoas bursitis affects mostly younger patients. The following video discusses hip bursitis in more detail. Other conditions that can cause hip pain in adults include inflammatory conditions, like rheumatoid arthritis and ankylosing spondylitis, and serious infection in the hip joint. In children, hip pain is often associated with accidents or trauma. In some cases, the femoral head will slip out of the acetabulum or there will be minor irritation of the bursa. More serious causes of hip pain include Legg-Calve-Perthes’ disease and septic arthritis, but these are rare. They may also perform physical examinations and patient interviews to make an accurate diagnosis and treatment plan. How can a chiropractor help with hip pain? Chiropractors believe that many painful conditions are a result of misalignment in the body, specifically in the spine. Using various techniques to bring the spine back to alignment can help relieve your pain and restore overall function and mobility. Visiting a chiropractor for hip pain can offer pain relief and increased mobility with few, if any, side effects. Chiropractors have over 100 different types of adjustment methods and techniques at their disposal. Most chiropractors focus on a dozen or so primary techniques to treat their patients. Within this adjustment, there are three main types. Diversified technique: The chiropractor applies a series of quick adjustments to individual joints. Gonstead adjustment: This adjustment positions the body differently and also uses specialized tables and chairs to quickly adjust each joint. Thompson terminal point (drop technique): A special table with removable sections quickly isolates a portion of the spine to apply controlled force. This technique is also considered a low-force technique, depending on the delivery. Low-force, gentle chiropractic care is best for patients who are uncomfortable with sudden movements or who have other conditions that make HVLA thrust impossible. With this method, your chiropractor applies low force continually to achieve the desired effect. Activator method: Your chiropractor uses a hand-held, spring-loaded tool to take measurements, test muscles, and adjust the spine. Core flexion-distraction: The lower spine is gently rocked back and forth to apply steady pressure to adjust vertebrae. Toggle drop: Similar to the Thompson terminal point, this technique uses a drop table. Your chiropractor places their hands on the area of focus and applies steady pressure before releasing a portion of the table. Mackenzie technique: This technique allows the patient to dictate their most comfortable position for adjustment. For patients who are anxious about chiropractic care, this might be the best approach. Release work: The chiropractor uses their fingertips to apply gentle pressure to individual vertebrae. The goal is to gently move misaligned bones back into place without force or speed. Sacro-Occipital Technique (SOT): Wedges or blocks beneath the pelvis use gravity (and mild additional pressure from the chiropractor) to adjust the spine. The chiropractic adjustment for hip pain your doctor chooses depends on what will work best for you and your condition. Is visiting a chiropractor for hip pain effective? Chiropractic care is gaining more support for a variety of conditions, due in large part to a growing body of research that supports its effectiveness. Chiropractic care has been shown in a variety of studies to relieve pain more effectively than medication. Because visiting a chiropractor for hip pain has few side effects, it is possible to use chiropractic care in conjunction with a number of different treatments. There is no worry about drug interactions, and adjustments are minimally-invasive. Chiropractic is also highly personalized. Although the treatment methods are standardized and perfected, the way they are implemented varies. Chiropractors are not treating just the symptoms of your condition. They are looking to treat the root cause of your hip pain. Once the cause is identified, they target their approach in a series of treatments designed just for you. Chiropractic is not a one-size-fits all approach. Another great benefit of chiropractic care occurs even after your hip pain is gone. Regular chiropractic care helps prevent future spinal misalignment and joint dysfunction. This can help improve posture, boost your immune system, and decrease your risk of depression. The powerful benefits of chiropractic care go far beyond eliminating hip pain, but a correctly aligned spine can help relieve pressure and pain in aching hips. Receiving a chiropractic adjustment for hip pain is one part of a comprehensive, team-based approach to treating hip pain. Your chiropractor might advise you on other ways to treat hip pain, including the following. One of the first treatments your chiropractor might suggest is dietary changes. This is different than dieting. Dietary changes do not need to mean deprivation. The best change you can make to your diet is simply to eat less of the foods you regularly enjoy. Portion size is the main driver of weight loss (and gain). Less weight does mean less pressure on your joints. Once you have portion sizes under control, introducing more fresh fruits and vegetables, whole grains, and lean proteins provides more bang for your caloric buck. Anti-inflammatory foods like sour cherries and spices like ginger and cayenne pepper can ease pain-causing inflammation. Be sure to incorporate these, too. Although a painful hip can make exercise a special challenge, daily activity can be the key to healing. Exercise does not have to be extreme, prolonged, or strenuous. In many cases, simple hip stretches a couple times a day can promote healing. If appropriate, your chiropractor will refer you to a physical therapist so you can start care with the best possible exercises and stretches. Hip pain is often more intense at night. This may be from the weight of your body on your hip, or it might be that your hip stiffens as the night wears on. Massage therapy is powerful medicine for chronic pain. If strained, sore, or tight muscles are causing your hip pain, your chiropractor may suggest regular massage therapy sessions. How can you find a chiropractor for hip pain? Finding a chiropractor for hip pain is much like finding any other doctor. In order to become a doctor of chiropractic (DC), doctors complete course material in the same areas as allopathic doctors. They then continue to specialize in chiropractic care. This means additional learning in the philosophy and practice of chiropractic, research methods and procedures, and patient care. All licensed chiropractors will have these credentials available for review. To find a qualified chiropractor for hip pain, the first step is to ask family and friends for referrals. If they had a positive experience with a hip pain chiropractor, even better. 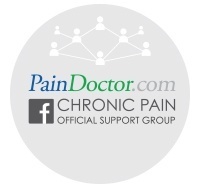 If you are a member of a pain support group, ask there for a list of chiropractors. This can be one of the best places to get referrals because members of the group are experiencing similar conditions as you are. Your primary care physician can also offer you a list of hip pain chiropractors that they commonly work with. In many cases, primary care physicians are a patient’s best resource when it comes to finding a reputable chiropractor for hip pain. If you do not have family or friends to offer referrals, and you have not yet found a pain support community, your doctor can help. Finally, the American Chiropractic Association (ACA) offers an easy-to-use online chiropractor search tool to find an ACA member near you. Now more than ever some of the best recommendations come from reviews posted online. Once you have a list of chiropractor names, head to the internet and look for reviews, ratings, and recommendations on one or more of these websites. Once you find a qualified chiropractor, get ready for your visit. You will want to bring as much information to your first appointment as possible, including a current diagnosis if you have one and any test results or medications. Your chiropractor will go through your medical history and conduct a physical examination. Based on the age of your current test results (including X-rays and MRIs), your chiropractor may suggest more tests. After this information-gathering is complete, your chiropractic adjustment for hip pain can begin. Your chiropractor may use a variety of techniques to address your hip pain. In most cases, there are few, if any, side effects to treatment. Some patients experience a little soreness after treatment, but this is mild and goes away within 24 hours. Most patients are up and back to their regular activities right after treatment! Keep in mind that if you start working with a chiropractor and do not feel comfortable in their care, it is okay to switch doctors. The chiropractor may be highly recommended and qualified but just not feel right to you. Pay attention to this and keep looking. Doctors are not offended by patients seeking other providers. They know that they will not be a good fit for every patient. Advocate for yourself to get the care you need and deserve. Working with a qualified pain management specialist can help make your search for a chiropractor easier. To find a qualified doctor and begin your treatment, get in touch today!